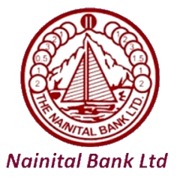 Nainital Bank Recruitment 2019 - Job notification for Internal Ombudsman Post in Nainital Bank, Nainital, Uttarakhand on Contract Basis. Applications are invited by Nainital Bank Limited on or before 21 Apr 2019 till 05:00 PM for 1 Vacancy. Max- 70 years of age as on 31 Mar 2019. The Candidate should either be a retired or serving officer, not below the rank of Deputy General Manager or equivalent of another Bank/ Financial Sector., Regulatory Body, having necessary skills and experience of minimum seven years of working in areas such as banking, regulation, supervision, payment and settlement systems and/ or consumer protection. The candidate should not have worked/ be working in the Nainital Bank Limited. Proof of age (copy of passing Secondary/High School/10th standard Certificate or Higher Secondary School /12th Standard Certificate mentioning the DOB). Copy of Certificates and Mark sheets in respect of qualifications acquired. Appropriate document(s) in support of experience. 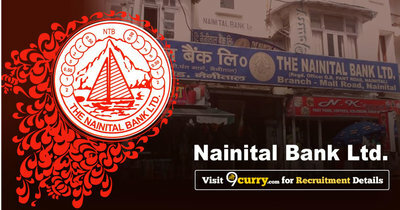 The Nainital Bank Limited (NTB) is a scheduled commercial bank founded in 1922 which is a subsidiary of Bank of Baroda. The bank has expanded to Uttar Pradesh and Uttarakhand, and has over 130 branches in Rajasthan, Delhi and Haryana. The Reserve Bank of India has listed it a scheduled bank.